How did the lab first come to fruition? The room was opened in September 2018 and we invited some people over for a ceremonial launch event. We worked on it with a team here locally and it took around two to three months of construction to build. 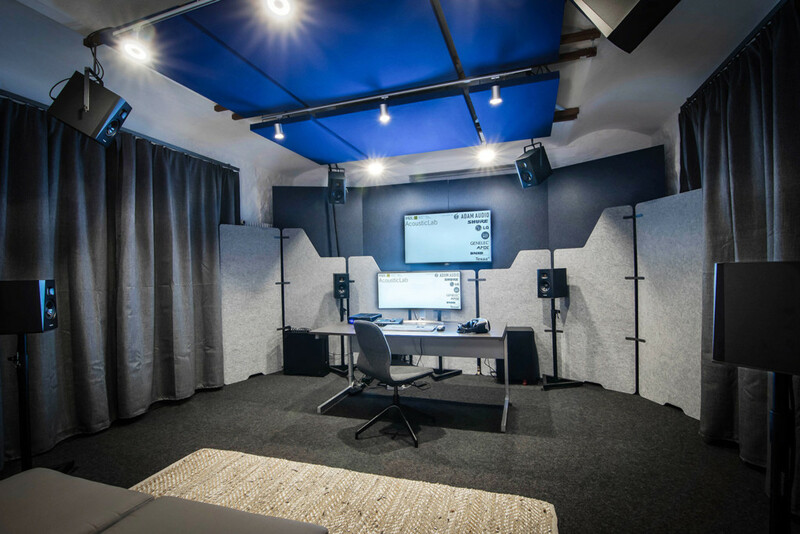 It’s kind of a modular approach – the room was already existing so we just had to put some furniture in there along with some acoustic treatment for absorption and diffusion on the walls and ceiling. When we moved here about 18 months ago the room was left empty for a long time. It’s in the basement which is tough to use for anything else, so it got to a point where we finally decided to make use of the space. 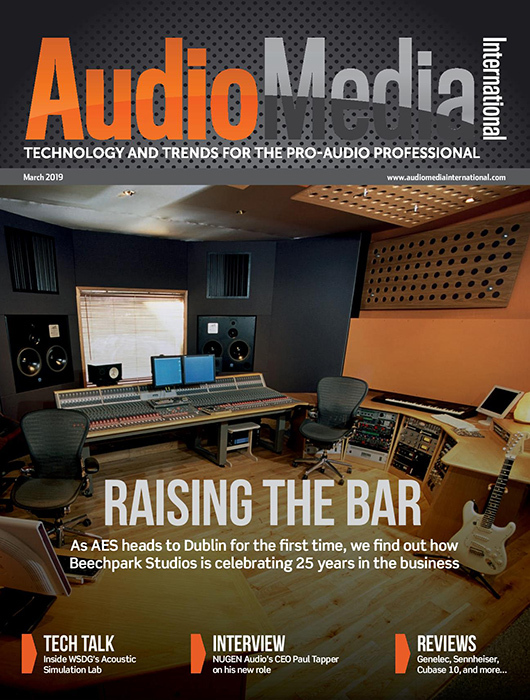 When running acoustic simulations, you have a dry signal like speech or piano recorded in an anechoic environment, and if you listen to it, it sounds completely anechoic with no reverb on it. This is usually used as a base file where the simulation program will add the reverberation signals as they occur per the calcs, and you create a stereo wav file that you normally listen to on headphones, although this doesn’t always work perfectly – I mean who wears headphones in a concert hall? What really opened our eyes was when we started to play around with VR goggles. 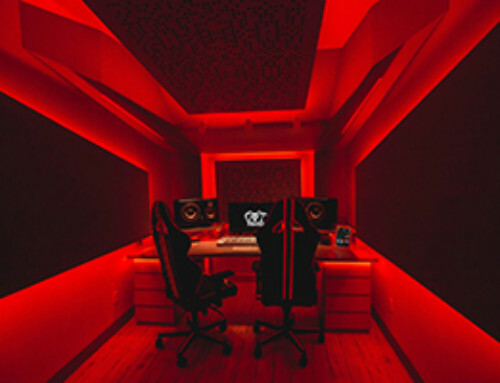 Users are placed in a virtual 3D space and as they turn their heads with headphones on, they will hear no change in the audio effect regardless of where they are looking in the space, as the headphones are basically glued to their ears. However, if you get rid of the headphones and install a number of loudspeakers, you can move your head to the right side and actually hear the reflections off the right side wall (reproduced by the loudspeaker that sits in that area). We then started testing the simulation software itself because we needed to make sure that our simulation program can actually generate the multidimensional files. With the lab, we’ve tried to be simple but still comprehensive enough so that our hearing understands it as a three-dimensional sound field. I think at the moment, 9.1 is actually a good compromise in terms of representing reality – which is totally complex and has hundreds of thousands of sources – as best we can, while still being manageable in a project environment. 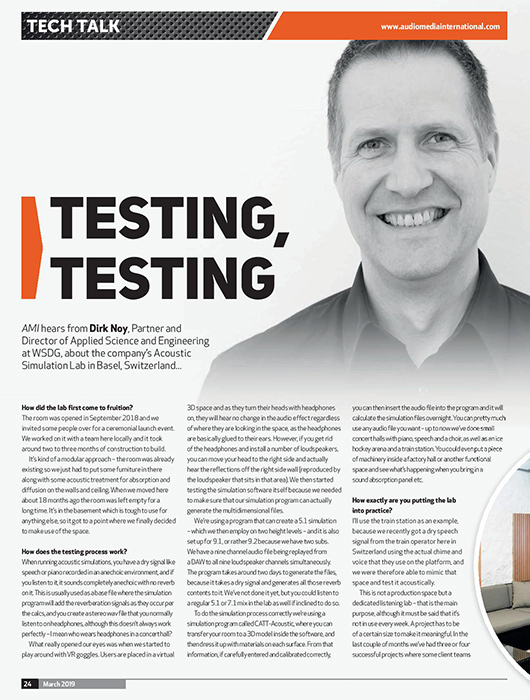 Because we are an international firm, we now have testing labs in New York and Berlin, which provide our global clients with these same options. The Swiss lab however was the catalyst for the original idea, and the room itself really does sound amazing. 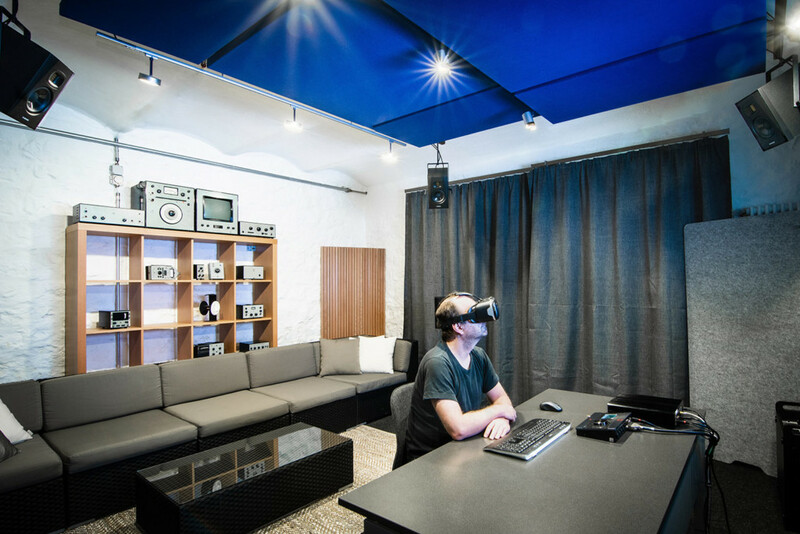 I guess the main purpose is that it’s an application based setup that facilitates dialogue between acoustical experts and clients, audio architects and users of the space. 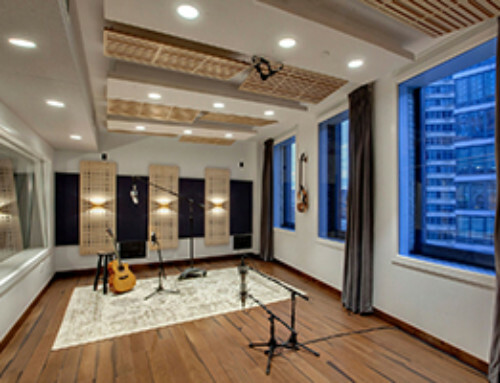 The real value is that users can compare different degrees of acoustical treatment etc. 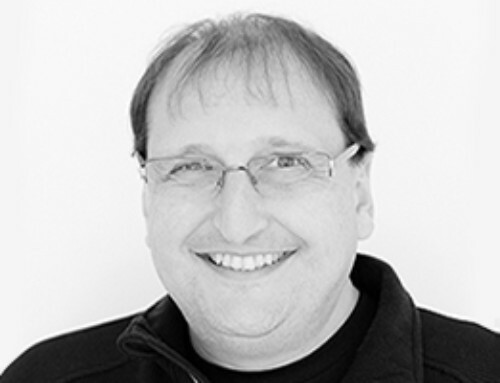 – it makes it possible to base an educated decision on an issue that will make a meaningful improvement to the client’s environment and workflow. Apart from its role as an acoustic simulation lab, it’s a decision facilitator and dialogue enhancer! 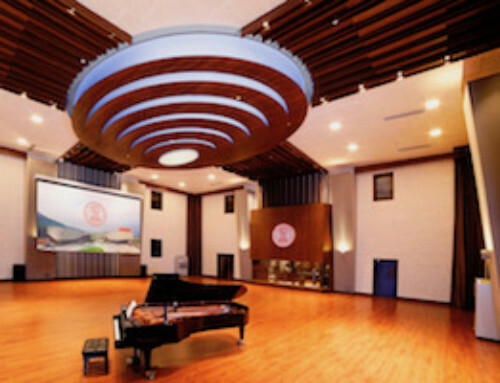 Visit our WSDG Acoustic Lab Project Page!